This time of year rolls around and I start getting the itch to organize all the things! Luckily here in Colorado, even in the dead of winter, we will have stretches where it’s a good 60 degrees for a week. So that means I can start thinking about getting my garage organization under control! 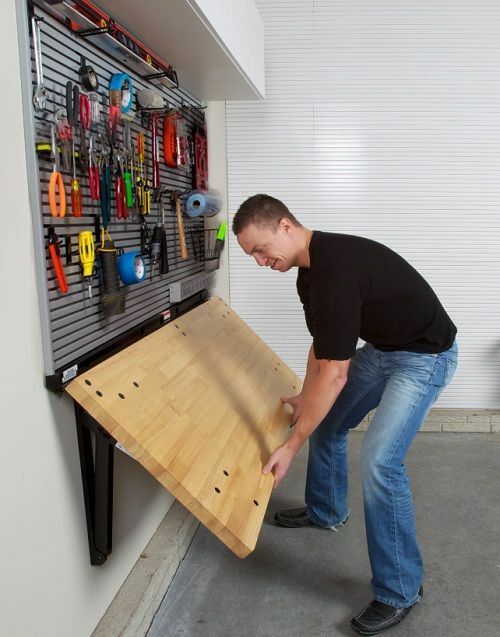 Today I’ve rounded up a BUNCH of awesome DIY garage organization and space saving tips and ideas. People are geniuses I tell ya! I can’t wait to assess the situation out there in the garage and put some of these ideas to good use. See if any inspire you too! Click on the link below each image to take you to the full tutorial! Happy organizing! 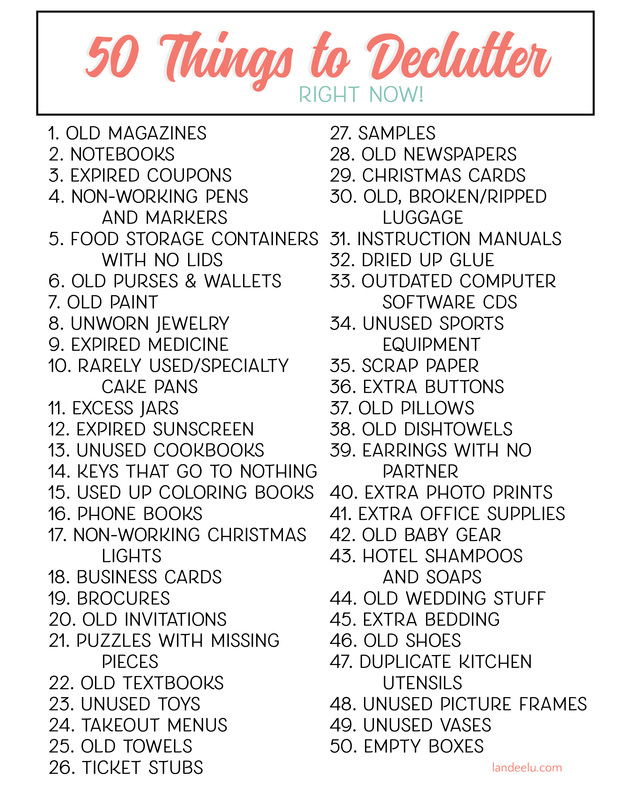 Thanks for sharing all of all these great organizational tips! My favorite was the lockers inside of the garage. Some nice ideas in here, thanks for sharing! 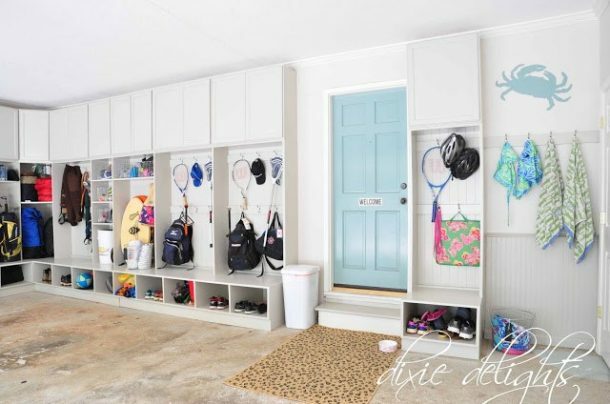 I like the idea of using the area above the garage doors for storage. Normally wasted space!